The book, “1984”, by George Orwell is described as a “dystopian” novel. Dystopia meaning quite the opposite of Utopia, generally referring to a community or society that is in some important way undesirable or frightening. While we have a ways to go to having our every move scrutinized, in our homes and in public, how far away from such a scenario as Orwell penned are we? Mass surveillance is on the uprise and if you have any doubts of the veracity of that statement, check out Edward Snowden, formerly of the CIA, and also once employed by independent contractors whose client was the NSA. As of July 2013, it was estimated by The British Security Industry Authority (BSIA) that there were 5.9 million closed-circuit television cameras in that country. That’s about 11 to 14 people per camera, also based on estimates by BSIA. Want to live in jolly old England folks? 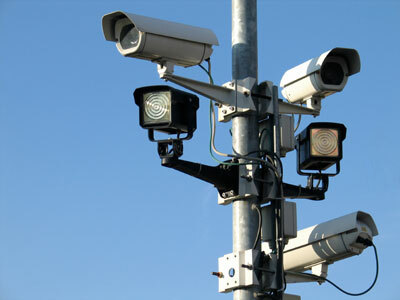 Cities all over the United States are attempting to jump on the surveillance bandwagon and dress it in bunting of red, white, and blue claiming such actions are necessary for the safety of the public, and to help the police with their duties, which leads me to the whole reason I started this post. What exactly are the duties of police? I always thought it was to serve and protect. It seems more and more to be to harass and arrest. What gives these men and women the right to overstep boundaries and suffer little or no repercussions over various misdeeds? The fear of reprisal is my opinion. This, of course, is no right, but I believe it’s the reason police misconduct has become rampant. What are those lines from Buffalo Springfield? There’s something happening here. What it is ain’t exactly clear. There’s a man with a gun over there, Telling me I got to beware. They have guns. Remember when you were glad of that fact if you ever were? Are you still glad? Check this video out- THIS VIDEO. It’s about the Jacksonville police implementing a plan to knock on doors WITHOUT WARRANTS and to install new security cameras around the city. The reasons for the unwarranted visits is purportedly to gain information about crimes that have already occurred but if you watch the video you’ll hear a statement about certain property seized. I’m not saying that this was LEGAL property and not against the law to possess, but certainly, the way it was obtained was as illegal as said property if it was gained through a knock on a door with no warrant. Of course all the police have to say in order to change their illegal entry into a legal one is that they were concerned for the citizens inside because the 7th U.S. Circuit Court of Appeals has ruled that it is not a violation of constitutional rights if police break down a citizen’s door, search the home, and confiscate firearms, so long as they believe it is in the citizen’s best interest. Who’s going to protest? Not many I don’t think because of what? Fear of reprisal. Immediate or otherwise. Let them shitcan the Second Amendment why don’t we? They’ll be the only ones with the rights to guns then, and when you’ve finally realized that camera wasn’t actually there for your protection, and the friendly neighborhood cop is a thing of the past and is now there to keep you under control, you might wish you’d had less fear of reprisal and spoken up when you began to realize “1984” was a bit more than a dystopian novel.